Way, way back in August I took part in the YA Scavenger Hunt. As part of this I had a secret page on my website. 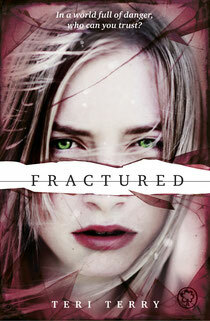 And I named it very imaginatively: 'Fractured: secret page!'. There was a password hidden on the Scavenger Hunt to get access to the page, where I asked for help: I was in the throes of final edits of Fractured, but had a huge dilemma: I wanted to change the name of a character, but couldn't decide what to. Thank you so much to everyone's amazing suggestions. And, drum roll, please: I picked Cynthia's suggestion. Katran! I really love this name. I wasn't sure at first; he had to try it on, and see if it fit. But it SO did. So if you read Fractured when it comes out 4th April - and I really hope that you will - somewhere on it's pages you will meet Katran. Thanks, Cynthia! As a special thank you, you will get a copy of Fractured as soon as I get my hands on them, so you will be one of the very first to meet him. Where is this secret page? I cannot find it! Sorry about that - this was in 2012. The page isn't there anymore! I'll change it in the blog so it doesn't confuse anyone else.